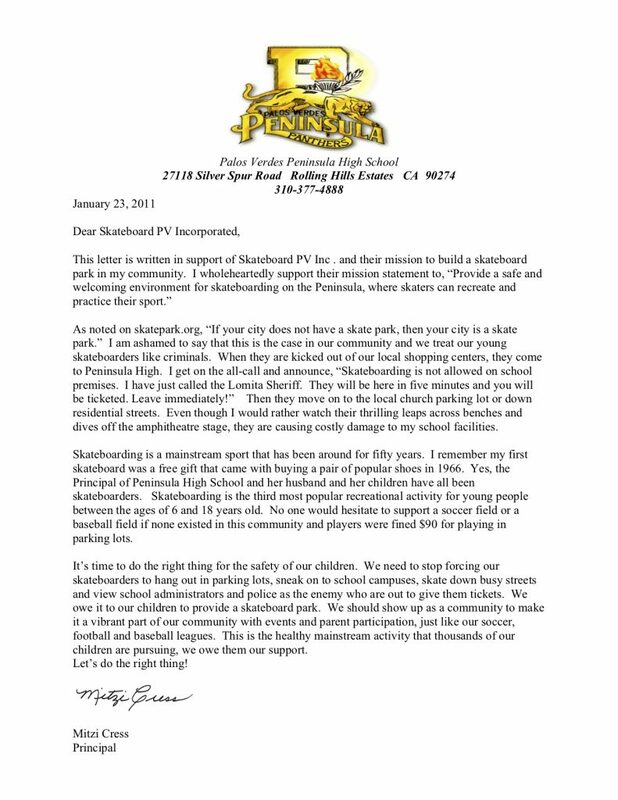 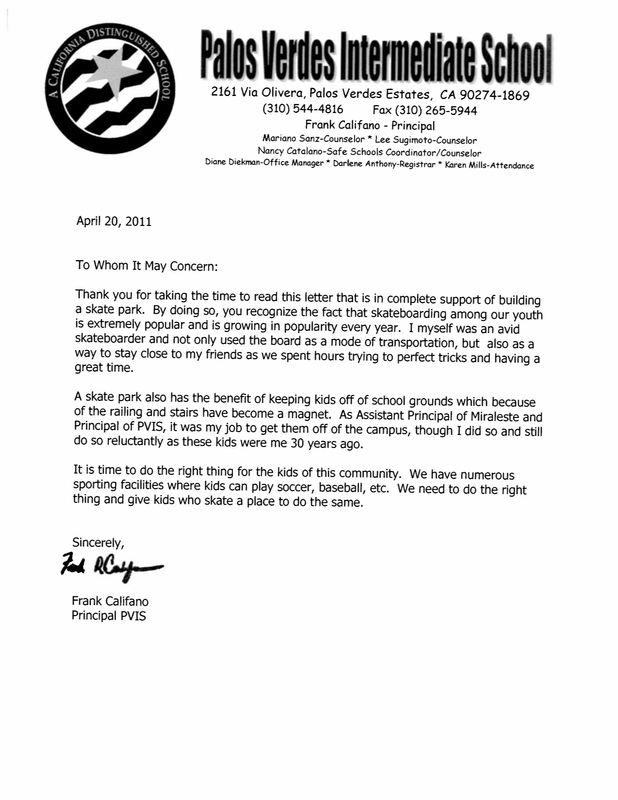 Thank you to Principal Mitzi Cress for her overwhelming endorsement of a skate park on the Palos Verdes Peninsula. 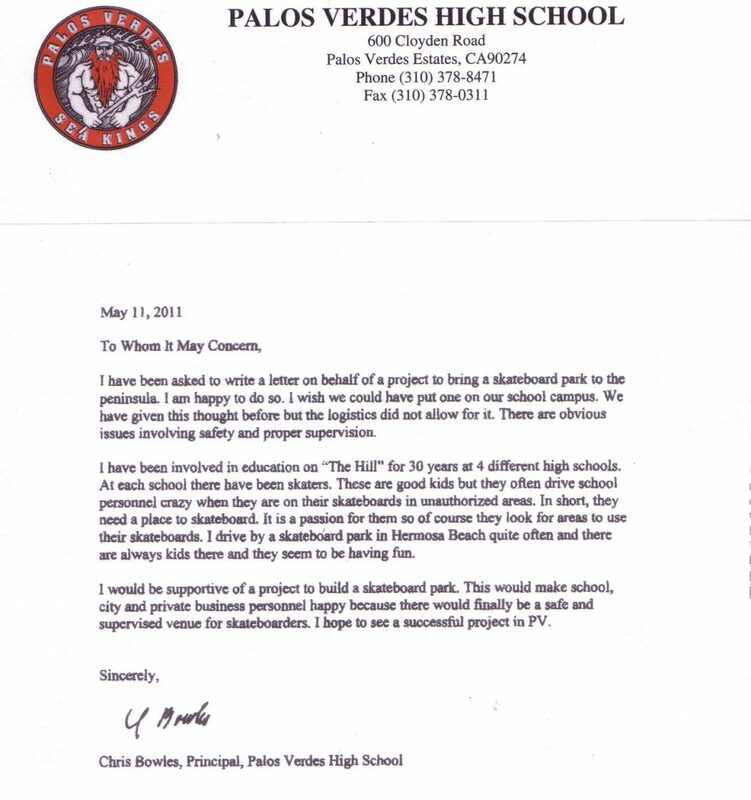 Thank you to Principal Chris Bowles of Palos Verdes High School who endorses a skate park for the Palos Verdes Peninsula. 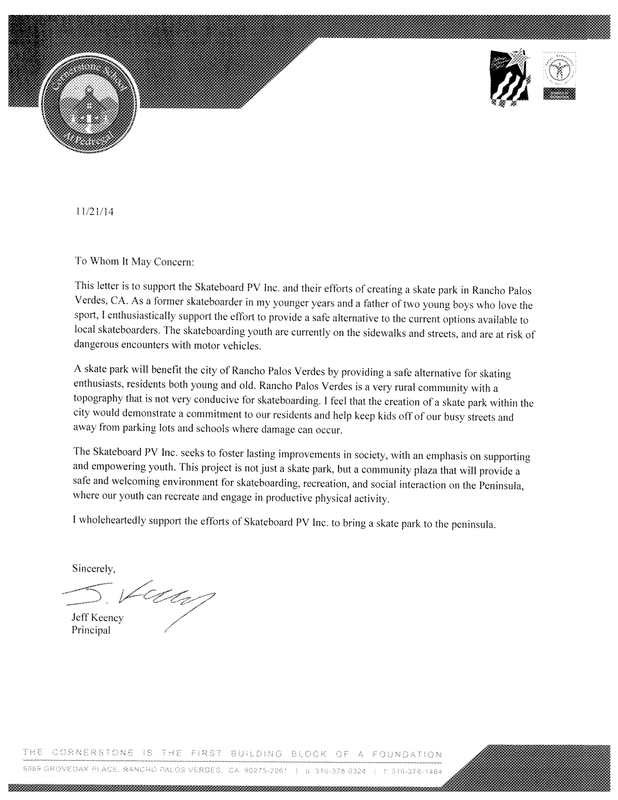 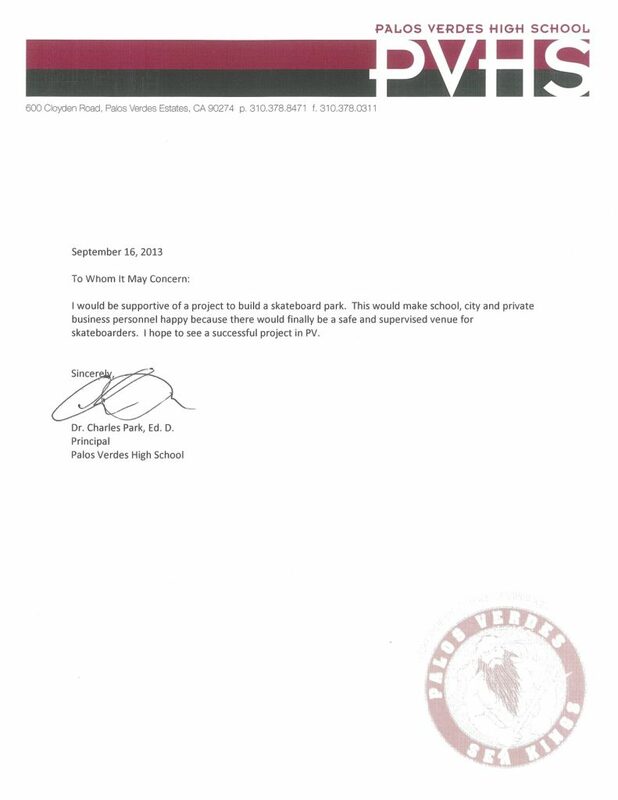 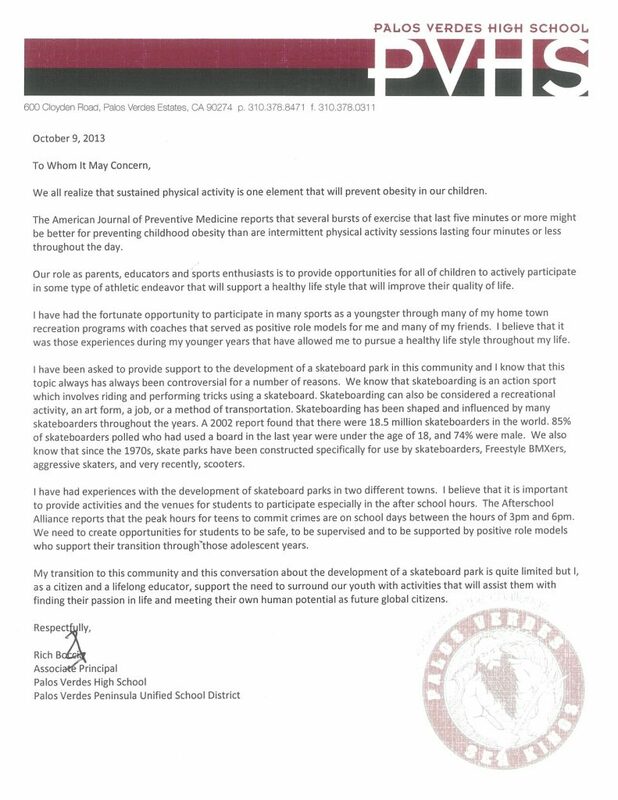 Thank you to Principal Frank Califano for endorsing Skatepark PV, Inc.’s mission to have a skate park built on the Palos Verdes Peninsula. Thank you to Principal Jeff Keeney of Cornerstone School for endorsing Skatepark PV, Inc.’s mission to have a skate park built on the Palos Verdes Peninsula. 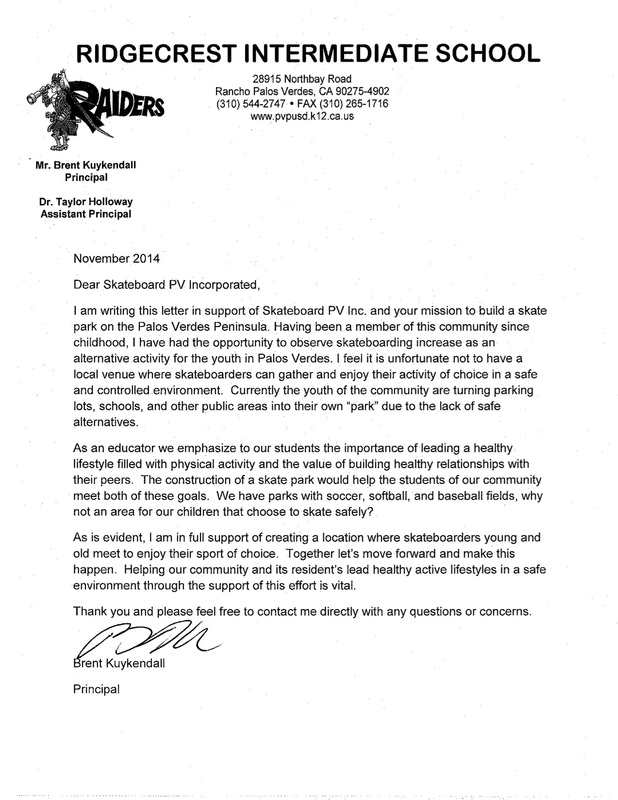 Thank you to Principal Brent Kuykendall of Ridgecrest Intermediate for endorsing Skatepark PV, Inc.’s mission to have a skate park built on the Palos Verdes Peninsula. 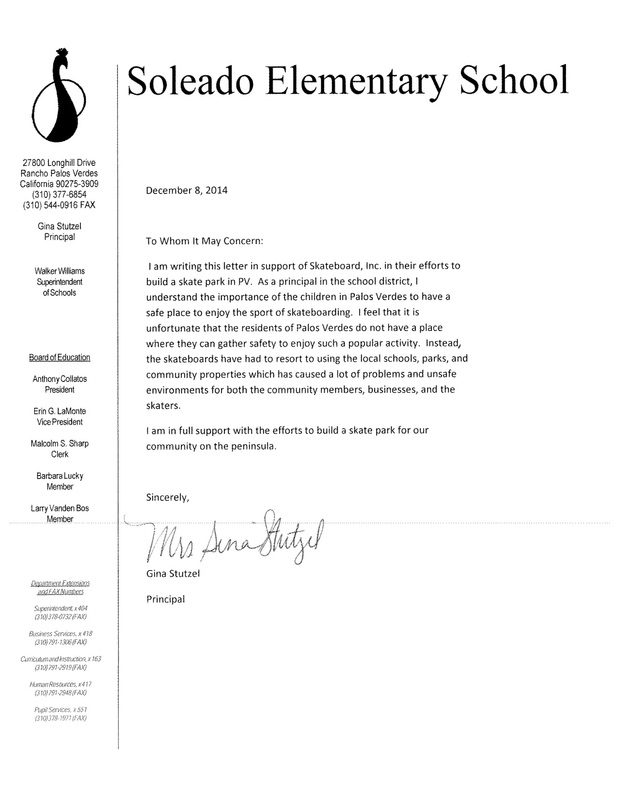 Thank you to Principal Gina Stutzel of Soleado Elementary School for endorsing Skatepark PV, Inc.’s mission to have a skate park built on the Palos Verdes Peninsula. 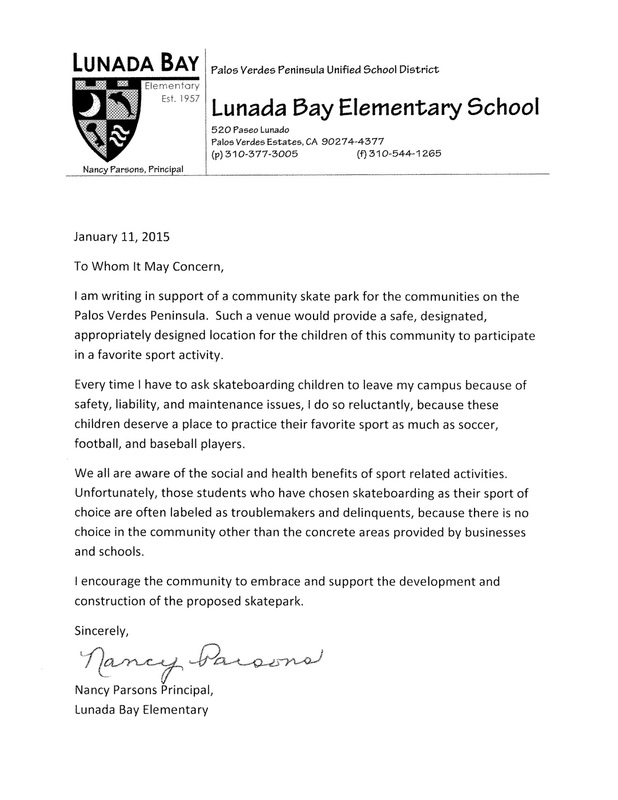 Thank you to Principal Nancy Parsons of Lunada Bay Elementary School for endorsing Skatepark PV, Inc.’s mission to have a skate park built on the Palos Verdes Peninsula.